LiveMD wishes Madagascar a Happy 56th Independence Day! Located in the western Indian Ocean, Madagascar is a tiny island with a population of just over 23 million people. 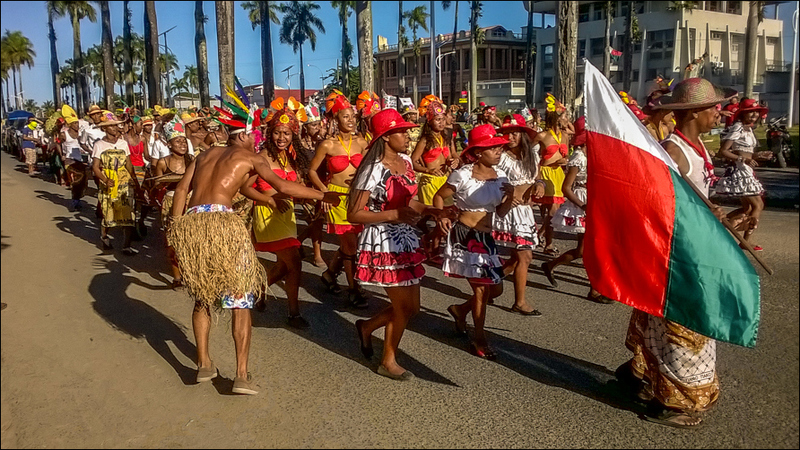 On June 26th, the people of Madagascar will be celebrating their 56th Independence Day. In 1960, the Malagasy people claimed their independence from France after 64 years of French rule. On this day there will be flags displayed, feasts, dancing and drinking and at night there will be fireworks, used to remember the gunfire that helped to win them their freedom. With an average life expectancy of 65 years of age, Madagascar is a country with a relatively high level of health care, compared to other third world nations. 65% of the people in this country are literate and there is a high immunization rate as well. Madagascar has taken many measures to decrease the prevalence of HIV and AIDS and currently less than 0.5% of the population is affected by this disease. This disease is spread from person to person by coughing or sneezing. It is highly contagious and due to this fact has caused an epidemic situation in Madagascar. There have been numerous reported cases and many confirmed deaths from this plague. Common symptoms include fever, weakness, coughing, wheezing, chest pain, coughing up blood and may lead to respiratory failure. If treated early enough, a course of antibiotics should be sufficient in clearing up the disease. The country of Madagascar is at risk for multiple types of natural disasters and pest infestations. These two factors contribute to an unstable and unpredictable environment for food growth and production. Over 8% of the entire population suffer from food insecurity and therefore the effects of malnutrition. Hurricanes and cyclones can quickly wipe out an area’s food supply and an infestation of pests, such as the current locust crisis, could easily wipe out an entire crop, leaving food supplies dangerously low. After the malaria epidemic in the 1990’s which caused tens of thousands of deaths, Madagascar has implemented many measures to help decrease the prevalence of this disease. The number of reported cases of malaria is steadily decreasing however it is still a risk for all of those living in or visiting this region. Mosquito nets should always be used and long clothing and mosquito repellant should be applied regularly. Click here for more information on malaria. Since its independence in 1960, Madagascar has taken great steps to improve the quality of life and level of healthcare available to it’s people. On June 26th, LiveMD would like to wish all of the Malagasy people a very Happy Independence Day! If you would like more information on the services available from LiveMD, visit our website today at www.mylivemd.com.